I am a general internist by training, and I practice primary care at a UBMD/Kaleida Health ambulatory center in North Buffalo. I am also a member of the ECMC Geriatrics Consultation Service. I provide medical care to a diverse population of adults, and I specialize in caring for chronically ill and frail elders. I strive to integrate my patients’ values, circumstances and preferences with evidence from high-quality medical research in order to make the best possible care decisions for my patients—a decision-making process that often includes quality-of-life discussions with my patients and their families. My main research and teaching areas are biomedical ethics (particularly in regard to incapacitated patients), research ethics and palliative medicine. I am also interested in the study of medical decision making, decision analysis and evidence-based medicine. I was responsible for research ethics at the UB Clinical and Translational Research Center (CTRC) from its inception until 2014, where I founded and still chair the monthly Clinical and Research Ethics Seminar. My teaching centers on ethics and palliative medicine. I teach medical students communication skills in the preclinical years. I am the course director for the required medical student ethics course, a leadership role I have filled since 1990. I organized the first palliative medicine elective for medical students in 1999 and continue to serve as course director. I also designed an innovative standardized patient exercise that forms a central part of the elective. I supervise internal medicine trainees, and my focus includes general internal medicine as well as evidence-based medicine. 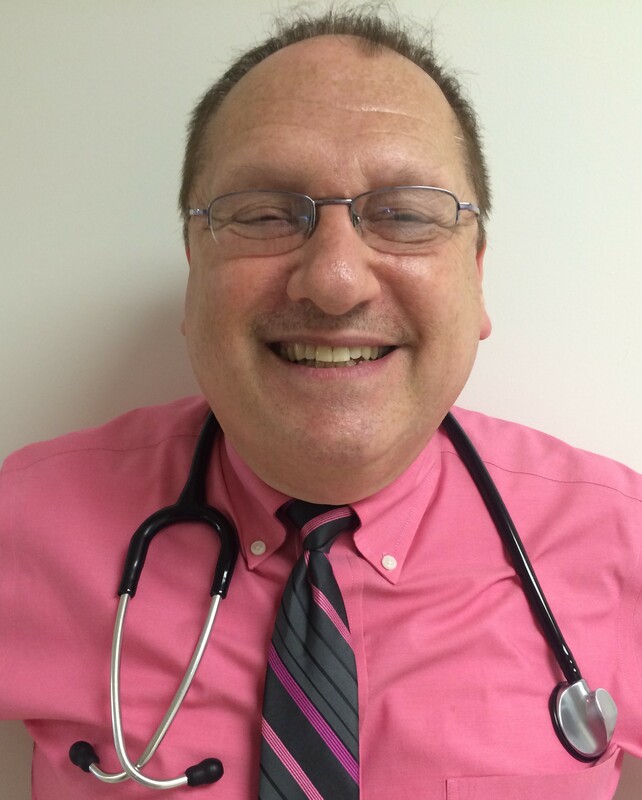 I am a palliative care physician at Roswell Park Comprehensive Cancer Center (Roswell Park). I care for patients who have advanced cancer, helping to manage their pain and other symptoms and providing psychosocial support. I have expertise in managing refractory cancer pain, neuropathy, nausea, fatigue, dyspnea, mood disorders and the other symptoms patients with advanced cancer experience. I see patients in the Roswell Park outpatient palliative care clinic, and I conduct inpatient consults for patients admitted to Roswell Park. An important part of my care is helping patients identify their treatment options and preferences throughout the stages of their cancer treatment. I help my patients weigh the risks and benefits of further chemotherapy and invasive procedures, for example, to decide the best tailored approach to their care. In addition, I help patients plan their care in the event their health worsens. These conversations help ensure that medical teams understand and respect my patients’ choices. I am an active researcher. Immune checkpoint inhibitors have provided an exciting breakthrough for patients with advanced cancer, but they can come with serious toxicities. I focus my research on evaluating better ways to screen and diagnose these toxicities earlier and identifying risk factors which may predispose some patients to developing these immune-related toxicities. Many patients also experience serious neuropathic pain as a result of their treatments, which can be challenging to care for; I am working to identify new treatments for this condition. I am in the beginning stages of investigating advanced-care planning in patients who are often at risk of poor communication with their medical teams. These patients receive less information, and in turn ask fewer questions of their physicians, than other patients. As a result, they may not receive the care that is truly consistent with their wishes. My goal is to educate medical teams to recognize high-risk patients and ensure that these patients receive the information they need. I teach medical students and residents. I lead small group discussions for third- and fourth-year students on advanced-care planning strategies. I also provide lectures and board review to the internal medicine residents. I am an exercise physiologist with expertise in kinesiology, quantitative research methods, and translational research focused on promoting successful aging in adults managing complex chronic disease. I aim to identify methods of translating and adapting evidence-based therapies into under-served community settings. Through a partnership with a local community organization dedicated to supporting older adults, I have developed and am disseminating a dual-task ("thinking while moving") physical activity-based intervention for older adults managing mild cognitive impairment. I am focused on examining not only the most effective lifestyle and behavior-based therapies to improve cognitive and motor function, but also methods by which to deliver these novel therapies into community settings with unique strengths and challenges. Acquiring a better understanding of our older adult community members‘ perspectives regarding the appeal and usability of proposed therapeutic strategies is a central focus of my work. I am also a co-investigator on a Veterans Affairs Small Projects in Rehabilitation Research (SPiRE) grant to study the effects of high intensity interval exercise training (HIIT) on physical performance, muscle strength and quality, frailty, and micro-RNA profiles among older adults. This important work will help to inform future, larger-scale intervention strategies that employ HIIT to promote successful aging in various clinical contexts. In addition, through an ongoing collaboration with the Health Foundation for Western and Central New York I am Project Director on a mixed methods assessment focused on better understand primary care providers‘ perspectives, attitudes, and practices regarding screening for fall risk among older patients. The results of our assessment will directly inform development of future community and primary-care based fall prevention programs in the Western and Central New York region. Over the past 5 years I have worked extensively in medical education, striving to improve the research training that primary care providers receive at ever level of their medical education. I work closely with medical students, residents, and faculty members in primary care to inspire the physician-scientist to embrace evidence-based medicine, develop their critical thinking skills, and apply rigor to their practice.